Despite the fact that she is slaying the award season game with her film debut, my dear friend Lady Gaga will always be the scrappy little recording artist that could. While I irrationally hated Stefani Joanne Angelina Germanotta from the first moment I saw her, I am so grateful that Tony Bennett was able to talk sense into me and allow the beginning of a beautiful friendship. I mean, 100 of my fellow celebrities had told me that I would love Gaga’s sweet, creative soul but it took just one to get through to me and for that, I will always be grateful to Tone. But enough about Tone, this is about thrice Academy and Emmy Award nominated, six time Grammy winning and my dear friend, Gaga. As I said, my own stupidity kept me from years of friendship with Ga – as only her best friends call her – and while that often wakes me in a cold sweat, I am glad at how quickly we developed the beautiful friendship we have. Given she is busy residenc-ing and attendee literally every single award show on the planet, I decided to swing by for a post Oscar-nominees luncheon date and, you guessed it, run the odds for the Grammys. Given she has made a splash in the film world I bequeathed her the honour of helping me pick who will take out Best Music Film and while I see merits in Whitney winning like Ga thinks, I can’t go past Quincy. While I am a dear friend of both Jay and Bey, neither of us can see them beating Childish Gambino’s This Is America. Obviously I couldn’t bet against Gaga for Best Pop Solo Performance or Best Pop Duo/Group Performance, so we focused on me betting the house on Tony Bennett and Diana Krall’s Love Is Here to Stay for BEst Traditional Pop Vocal Album – though Babs is my most likely spoiler – and my love for Kelly Clarkson isn’t enough to make me bet against Camila Cabello’s creatively titled Camila taking out Best Pop Vocal Album. While running all those odds can be hungry work, I know that the Academy serves calorie rich food at the nominees luncheon – checky during awards season, no? – so I opted to keep it light with a delicious Lady Gaugamole. 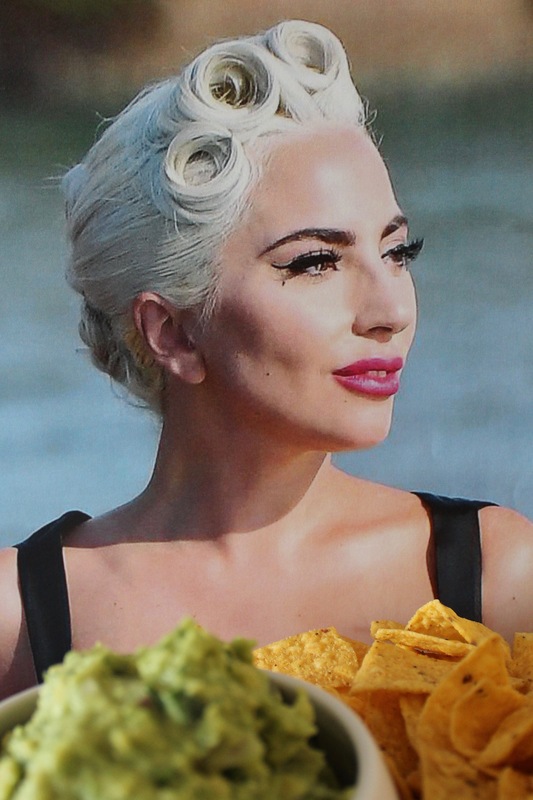 Nobody loves avocados more than I – excluding Queer Eye’s Antony, obviously – however I had never tasted guac perfection until I encountered Chipotle. Oh Chipotle, how I love you so! The spicy, glorious guac bursting from a burrito and washed down with some Pibb Extreme is my idea of heaven. 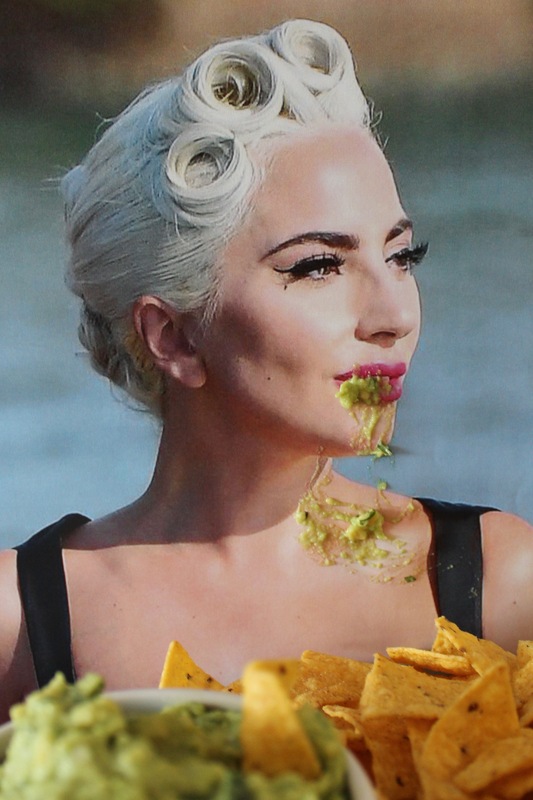 But this is not an add, focus on their guac – fresh and zingy, it is perfect all by itself. Cut the avocados in half, remove the pit and mash the flesh. Fold through the remaining ingredients. Devour, with a big bowl of Tortea Leoni Chips.